As a reader I love freebies, and as a writer I love giving my readers freebies! Check out some of the awesome bonus content you can find from the Amaranthine Universe. Note: Unlike other retailers, Amazon gets the final say in all prices, meaning a story or book *meant* to be free is NOT free, even though the author intended it to be. Also books that were free may become un-free without notice. Always check the price before buying. Readers can download kindle compatible files from Smashwords - where they allow the author to set their price - and manually put them on their kindles. Honeymoon Havoc - The Amaranthine series may have ended, but Jorick and Katelina's life together is just beginning. Jorick is looking forward to the departure of their Japanese guests, so he can be alone with his new wife, when trouble shows up in the form of a redheaded Executioner and a vampiress who needs help. Will they ever find peace and quiet? Thirteen Guests - A collection of thirteen short stories meant to take place during the events of Masque of the Vampire told through the eyes of the guests themselves. Dive into their histories, share their pain, their joy, and their hopes in the days leading up to the party's first official day. Tales from the Island - A collection of six short stories that fit between the Amaranthine novels Heart of the Raven and Children of Shadows. Katelina finally gets her island vacation, but it's not all she expected. How can it be when her companions are immortal? What happens on a vampire vacation, stays on a vampire vacation. 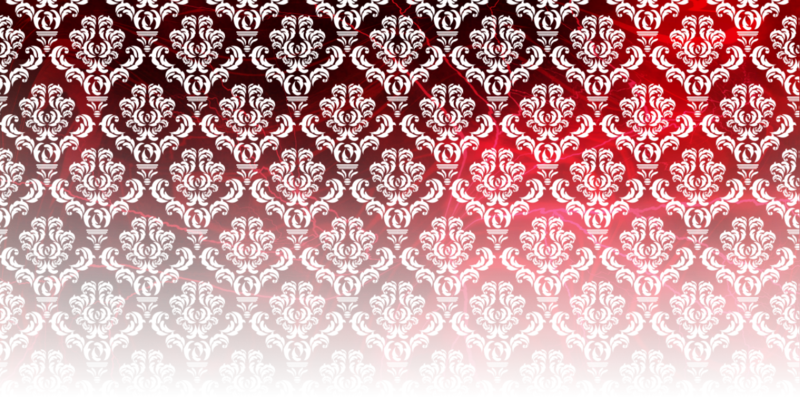 Heart of the Raven Mini-Prologue Collection - This is a collection of nine flash fiction prologues for the book Heart of the Raven, the fifth novel in the Amaranthine vampire series. These stories are not intended to stand on their own, but as a supplement to the novel. 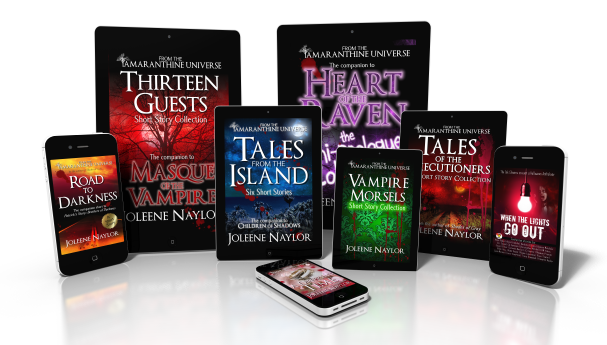 Vampire Morsels - Seventeen short stories from the world of Amaranthine; each about a different character. Includes: Kateesha, Michael, Jesslynn, Alexander, Claudius, Troy, Velnya, Sarah, Nirel, Kariss, Herrick, Elsa, Bethina, Benjamin, Ashton, Arowenia, and Adam. 101 Tips for Traveling with a Vampire - Super Short. A fun short co-authored by Jonathan Harvey (Jissilly), author of Shades of Plaid. There aren't a lot of resources for a human who's running with the "undead"; No Facebook groups, no forums, not even a decent book of tips, until now. 101 Tips for Traveling with a Vampire is just that, 101 tips for everything from boat travel to the classic American road trip. Sometimes funny, sometimes serious, these tips will prepare you for any travel that your vampire friend has in mind. Strange Portals Anthology - Twenty-two stories about fairies, vampires, werewolves, zombies, and everything in between by seventeen authors. Inlcudes Verchiel and Predator by Joleene Naylor. When the Lights Go Out Anthology - A collection of twenty-five short stories by twenty authors. Enjoy thrills, chills, and mysteries. Meet ghosts, demons, vampires, and monsters everywhere from dark city streets to the English countryside. Scares lurk in the most unexpected places and, when the lights go out, no where is safe and no one will be spared. Includes Beldren and Unforgotten by Joleene Naylor. You can find a complete list of all my books and short stories in a printable book list.